Experts predict the online tutoring industry to experience to grow 12.75 percent by 2021. If you want your business to be part of this growth, you must make your online tutoring company a household name. Marketing is a must to take your online tutoring business to the next level. Don't know how to advertise tutoring? We've got you covered. 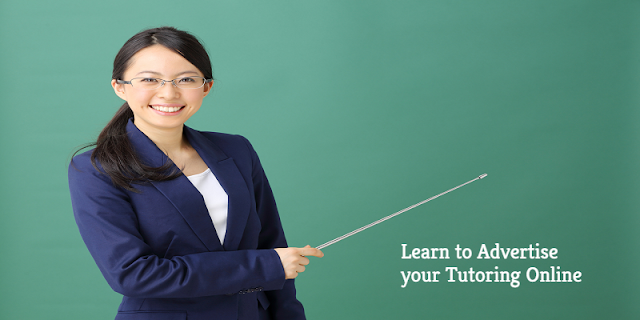 We'll tell you must-follow tips to advertise your online tutoring business online. Keep reading to start marketing your business and take it to the next level. So you turned your passion for teaching into your own online tutoring company. As a business owner, it may be challenging to find the clients you need to grow your company. Marketing your business is essential to find your potential clients. Are you marketing your tutoring business? If not, you should get on it as soon as you can. Not sure how to do it? Here are 9 marketing tips you should follow to build one of the best tutoring companies. You may think creating a website isn't necessary to take your business to the next level. Yet, there are too many reasons why you should prioritize creating a website for your business. Your website will expand your online presence and help you connect with your clients. When it comes to marketing, your website is like your main content hub. Marketing channels such as social media should connect the client back to your website. Remember your website will have all the information about your services and how you can help your students. If you want to grow your business, you must earn your client's trust in your business. The first step is designing and creating professional-looking marketing materials. You should hire a professional to design your logo, letterhead, brochures, and other marketing materials. You can use your logo to brand all your content and website. Clients trust businesses that use branded professional-looking marketing materials. If your potential clients trust your brand, there's a better chance that they will use and recommend your services. Tutoring ads go a long way. Even if your tutoring services are 100 percent online, you should consider advertising on community boards and forums. Before posting your ads, you should narrow down your client profile. Where can you connect with them? Is it your local college community board or forum? While it's more challenging, another approach you may consider is advertising internationally to potential clients. An example is how an English tutor may consider advertising in China. This market is one of many looking to keep up with the global competitive markets. Consider advertising to high-end clients in those markets. Remember to post your ad on a community board or forum that connects with your potential clients. If you haven't created social media pages for your business, you should get on it as soon as possible. Your social media will allow you to share content with your potential clients. Don't underestimate the power of your content and social media. You should focus on creating content that educates your audience while telling them why they should choose your services over the competition. Keep in mind that your content must cater to your potential clients. Consider sharing parenting golden nuggets of knowledge or tips for college students to ace their tests. When a business owner wears several hats in their daily operations, it may be challenging to keep up with updating your social media. Yet, you may consider starting small on platforms such as Facebook and Instagram. You may think that print is the only way to advertise a business. Yet, online tutoring ads on Google and Social Media platforms may bring better results. Online advertising puts you in front of a huge audience. While it may be challenging at first, a targeted Google or Social Media ad can bring the potential clients you have been dreaming about. The biggest advantage about these campaigns is that you can narrow your audience according to details such as gender, location, and age, among others. If you don't have the time or want to make sure you get it right, you may consider contacting a social media consultant. An expert can create and target your campaign to your potential clients. Today, most business searches start online. Have you registered your company on online directories? If not, you should register your business today, it can do wonders for your online presence. Even if your potential client doesn't search on those directories, it can help you rank higher on search results. When you improve your ranking, your clients will find you easily. While this option may come at a cost, it can help any online tutoring business. Online tutoring agencies will charge you a fee or take a portion of your pay. Yet, it's the easiest and fastest way to get your name in front of thousands of customer who need a tutor. Joining an online tutoring agency is a great option when you're getting started in the online tutoring industry. Creating a blog is a great way to boost your online presence and connect with your audience. Your content should aim to help your potential client and separate your company from your competitors. You should consider sharing blog posts such as reviews about how your tools help your students improve. An example is ixl reviews discussing why you use this program with your students. Word of mouth is one of the most powerful marketing tools. You should always try to showcase your client testimonials on your website and social media. Also, you should reply to all your reviews to promote client engagement. Learning how to advertise tutoring is the first step to take your business to the next level. It's important to set the basic foundation such as your website, marketing materials, and social media. Once you set your foundation, you should focus on telling your story and why your potential clients should choose your company. Don't neglect paid advertising but, you should consider contacting a social media marketing consultant. Want to set up the right social media marketing strategy? Check out our Social Media section for more helpful articles.